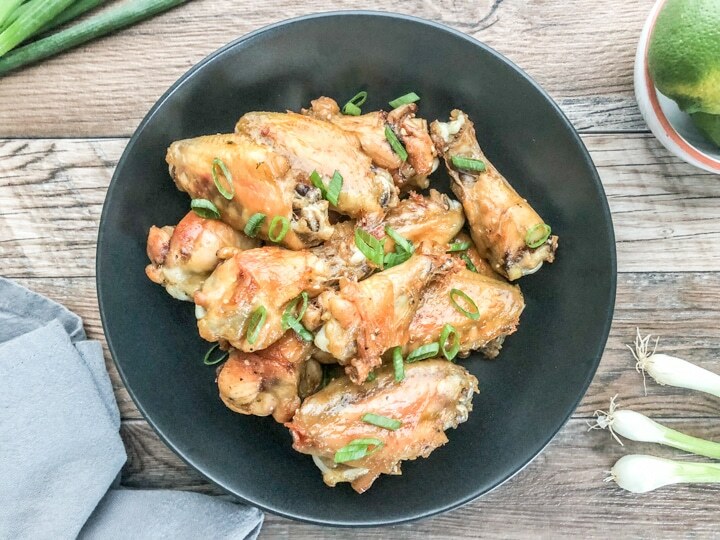 Easy Crispy Oven Baked Chicken Wings are a family favorite. In fact, chicken wings are our favorite part of the chicken, so any opportunity I get to whip up a batch is right up my alley. These beautiful crispy golden brown wings are so flavorful and a healthier option to traditional deep fried chicken. This recipe is perfect for serving your immediate family, for casual dinner gatherings, or even as a game day recipe. It requires minimal ingredients and is basically a low maintenance recipe which is the best part. 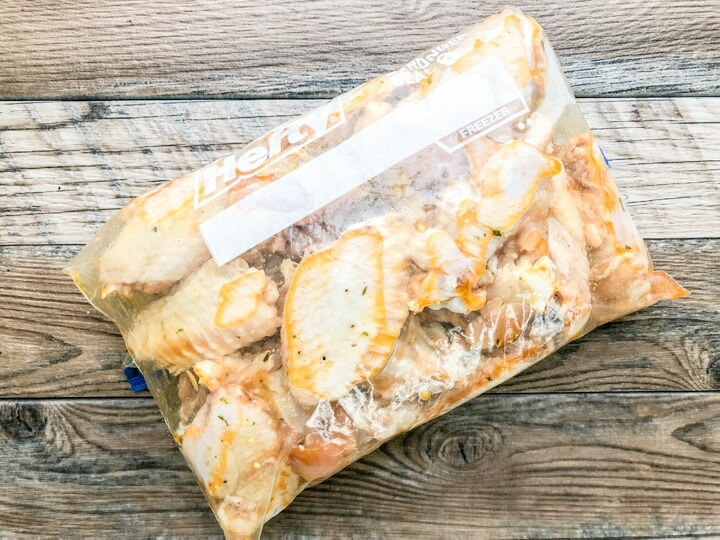 Keep reading to see how I prep for this Easy Crispy Oven Baked Chicken Wings Recipe. You may have all or some of these ingredients in your pantry but if you don’t it’s okay. Experiment with what you have if you’re not in the mood to go to the store to purchase these exact ingredients. Most of my recipes serve as a guide whereby you can adapt to suite your and your family’s taste. No need to fret. Note: I knew I would be gone for half the day, so I decided to let the chicken wings marinade in the fridge for that amount of time. When I arrived home, I removed the chicken from the marinade and placed on a prepared baking sheet. Bake in oven: I baked the chicken wings in the oven at 405 degrees for about 45 to 50 minutes until they turned a nice golden brown with a crispy outer coating. Broil: When I saw that the chicken wings looked crispy and golden brown, I turned the broil on and let them crisp a bit longer (for an extra 4 minutes or so) (DO NOT WALK AWAY FROM THE OVEN AT THIS POINT AS THEY CAN BURN QUICKLY). Oven temperatures may vary so make sure you check your chicken wings every few seconds. 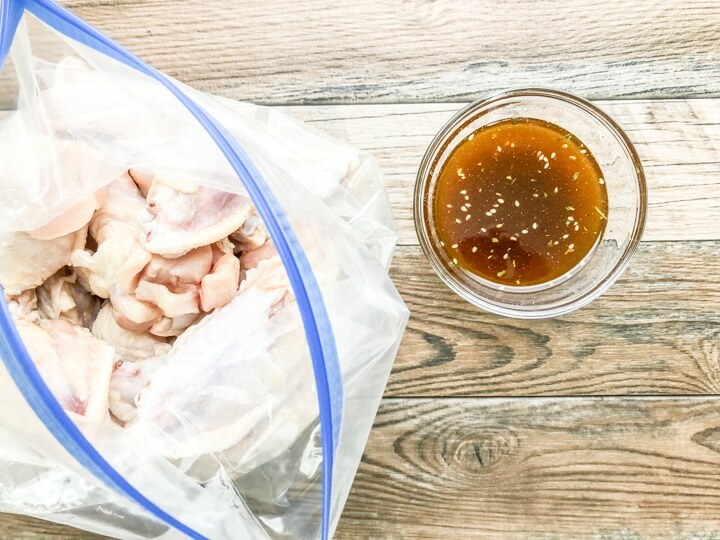 After marinade has been added to the zip loc bag, roll the bag around making sure each chicken wings is well coated. The final product is Easy Crispy Oven Baked Chicken Wings – YUM! That’s all it took for me to get these down right delicious Easy Crispy Oven Baked Chicken Wings on the table. Oh yeah, and clean up was so easy. Minimal ingredients and an easy clean up I would consider this as a win-win. Here’s another marinade that would be excellent too 4 Ingredient Cilantro Lime Marinade. By the way, have you checked out this chicken recipe, Grilled Cilantro Lime Chicken Skewers. They are the bomb! 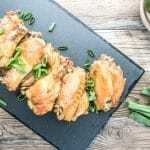 Easy Crispy Oven Baked Chicken Wings marinaded in EVOO, kosher, cumin, coriander, garlic herb blend, smoked paprika, and lime zest to create a delicious golden brown crispy outer coating. So flavorful and delicious! 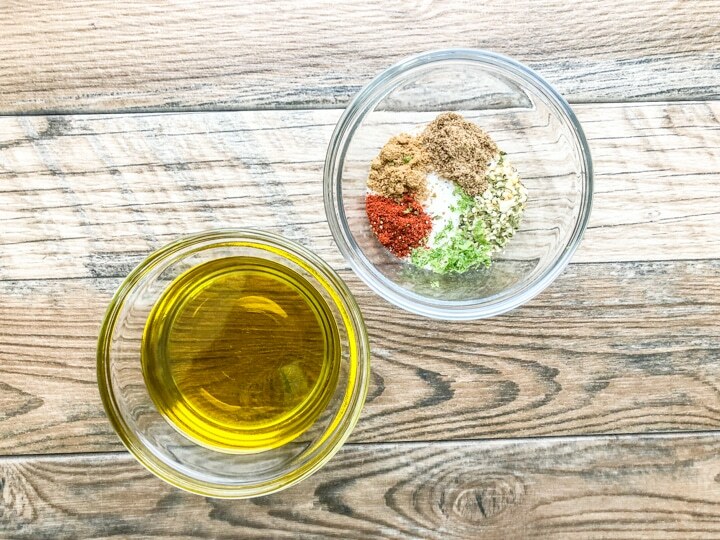 For marinade: Combing all ingredients and whisk. Set aside. Heat oven to 405 degrees. Prepare half baking sheet with parchment paper for easy clean up or foil paper. If using foil paper, spray generously with cooking spray to prevent sticking. Washing chicken wings parts and pat dry with paper towels. 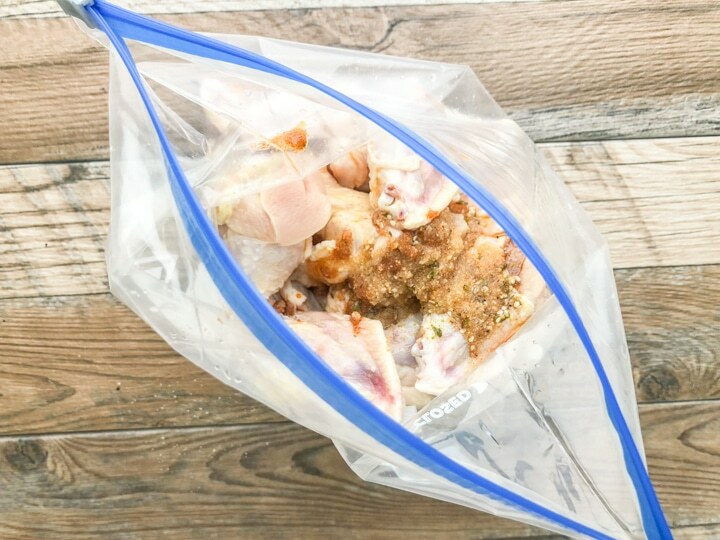 Place chicken in a large zip loc bag or bowl, add marinade, and marinade for up to 8 hours. When reading to back remove chicken from marinade draining as much of the excess marinade off the chicken as possible. Align chicken wing parts on prepared baking sheet leaving an inch or so between each chicken wing part. DO NOT OVER CROWD BAKING SHEET as the skin will not get crispy. Bake until top side is a crispy golden brown (for about 35 minutes. Flip chicken over and bake for an additional 10 minutes. If you want a little more crisp, turn on broil and broil for about 4 minutes (DO NOT WALK AWAY FROM OVEN AT THIS POINT. WHILE BROILING, WATCH CHICKEN CLOSELY SO IT DOESN'T BURN. If adding juice from a lemon or lime, marinade up to 30 minutes otherwise, the acid from the citrus will begin cooking the meat which will cause an unpleasant texture. I marinaded the chicken wings for half the day as I didn't use the juice of the lime only the zest.